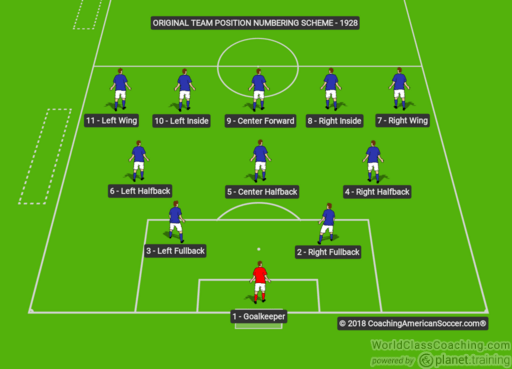 The use of a position number scheme to identify soccer positions has recently come back into vogue. 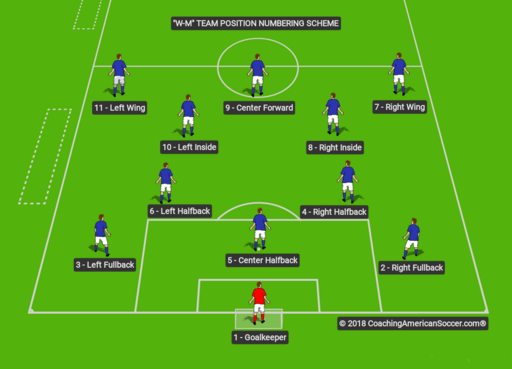 Possibly due to the proliferation of position names (See: “Soccer Positions”), it appears to be hoped that a general numbering scheme will reduce confusion, both among players and coaches, and help with a common understanding that transfers between teams, coaching instruction, and different formations. Beginning in the 1960s, significant experimentation in the use of players, systems of play, formations, and alignments began. Position functions started to merge and overlap. “Total Football” appeared and a lot of the previous structure to player numbers and the original team numbering scheme disappeared. Players were free to select their own numbers (which had essentially been true for substitutes, anyway), and their jersey numbers were no longer expected to correspond to any certain positions being played on the field. Halfbacks started to be called Midfielders. The most significant changes were the move of at least one additional midfielder into back defense and the establishment of the trailing forwards as acknowledged midfielders. U.S. Soccer has gone further to describe the expected characteristics (“position profiles”) for each of the numbers/position-names based on the “Technical, Tactical, Physical, and Mental (TTPM)” attributes that it determined to be applicable to each. 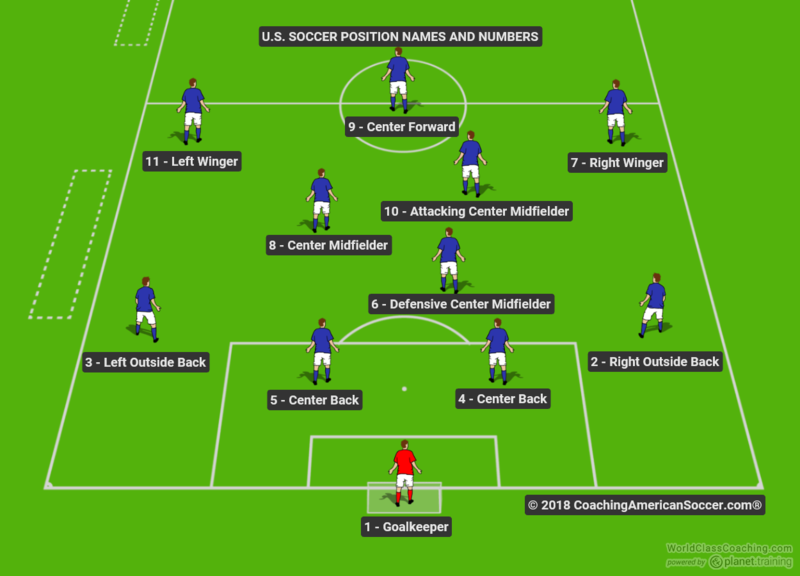 – Players with aspirations to move up the USYSA and USSF paths need to know the numbering scheme and associated characteristics of the positions. – Television commentators have adopted the position numerology, so parents and viewers need to know the background, as well as players. 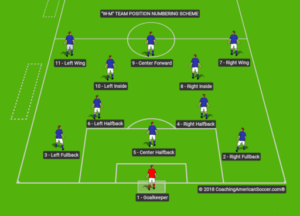 – The term “False 9” has emerged which refers to a center forward who plays, or appears to play, the middle striker position, but often drops back into the middle of the field to provide a link between the leading midfielders and fellow strikers.